End of Year Curriculum Giveaway - $250 Value! I'm giving away $250 worth of homeschool curriculum. But why? Our homeschool year has ended. This, in itself, is a BIG DEAL. I'm pretty excited, though, because we are having new floors put in our downstairs area. This has been on my "list" since we moved in 10 years ago... my kitchen has WHITE linoleum. We've lived with it because there was no sense in replacing it when the kids were younger. It was in good shape, but it just was AWFUL to keep clean. I also have 16 year old carpet throughout the rest of the downstairs. This will be replaced with hardwoods. Everything is in a state of disarray right now. EVERYTHING has to be moved, sorted through, and "evaluated". We have a lovely little music room at the front of our house, which has slowly, over the past two years, also turned into a homeschool resource room. I'm reclaiming this area - it will JUST be a music and reading room, with one large shelf for our most current books we are using. My favorite IKEA shelves that have been in this room have been relocated to the basement landing, where I can easily access any supplies, etc... we need for homeschooling. Over the past year, since we have joined Classical Conversations, I am seeing why LESS IS MORE in our homeschool. 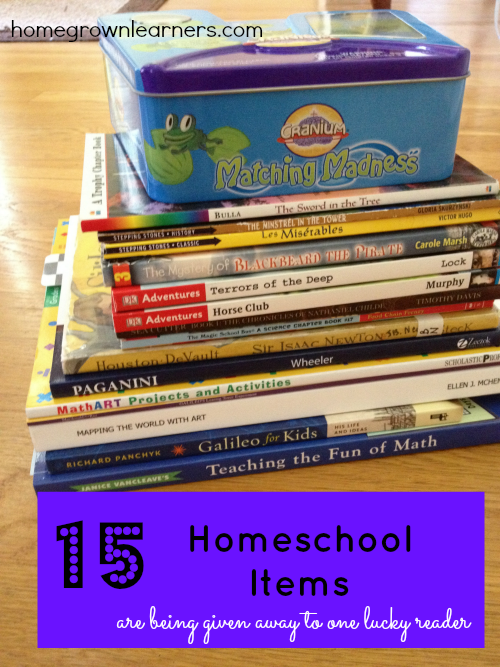 We are paring down to just a few favorite resources and everything else has to GO. I can't keep up with it, and I know so much of it can bless other people. After the trips my husband and I have taken to Ecuador and Honduras, we also feel convicted to simplify and be better stewards of our resources. I've sent friends away from my home with bags of books, games, rhythm instruments, and more. I've made endless trips to GoodWill. Now, it's time to give away to my online friends! 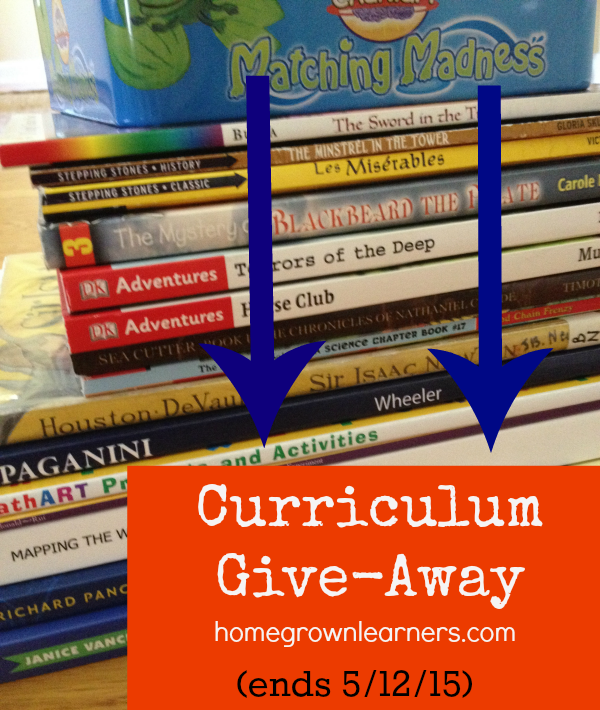 One lucky reader will win a huge box of VERY gently used resources. Please follow the Rafflecopter widget below to enter. This giveaway is only open to US residents, and ends Monday, May 12 at midnight, EST. One winner will receive all 15 resources and it will be shipped via Media Mail.